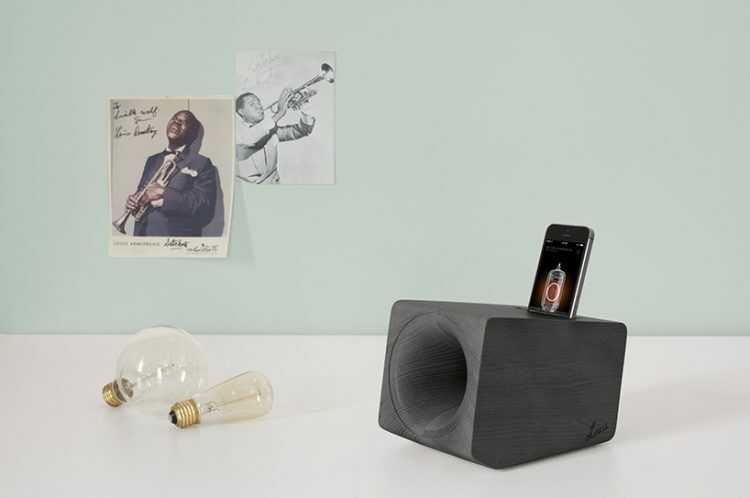 iPhone Dock Speakers are a cool thing: you can put your phone in and listen to your music anywhere in the house, or use it for a party – so cool and comfy. Number one thing that you check about speakers is the sound – it should be clear and beautiful. Fucntionality is also a great thing, for example, buying waterproof speaker you can listen to music in the bathroom and sing to it if you like! But the design is important, too. 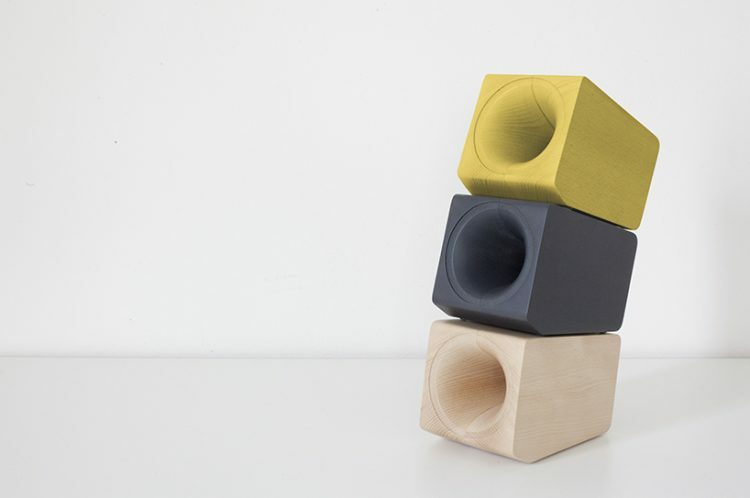 If a speaker isn’t cool, it can spoil your interior or even party ambience, and here designers don’t disappoint us – speakers design excites and surprises with every new model. We’ve seen music cabinets, soundbox desks, rusty wooden beams and many other no less original ideas. Today we’ve prepared one more unique speaker for you, all the retro fans, get ready to swoon over! It’s Louis speaker by Paolo Cappello for Newblack that mimics the sound of vintage vinyl records. 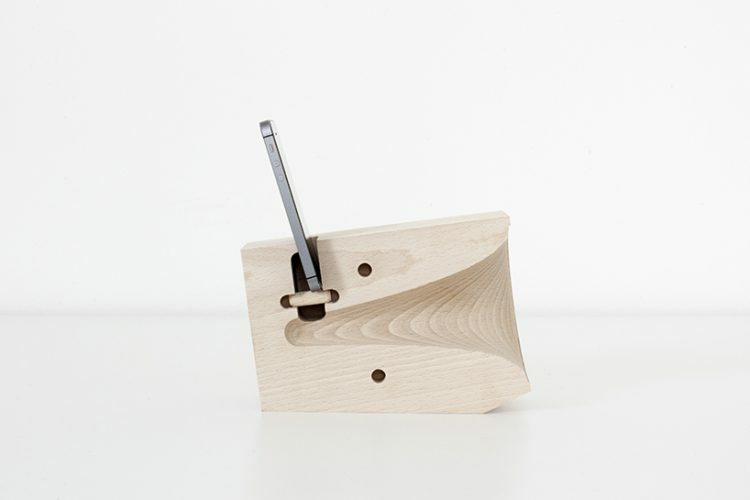 Suitable for all iPhones and other smartphones, the unique instrument amplifies the music saved on the device from its trumpet-like opening. 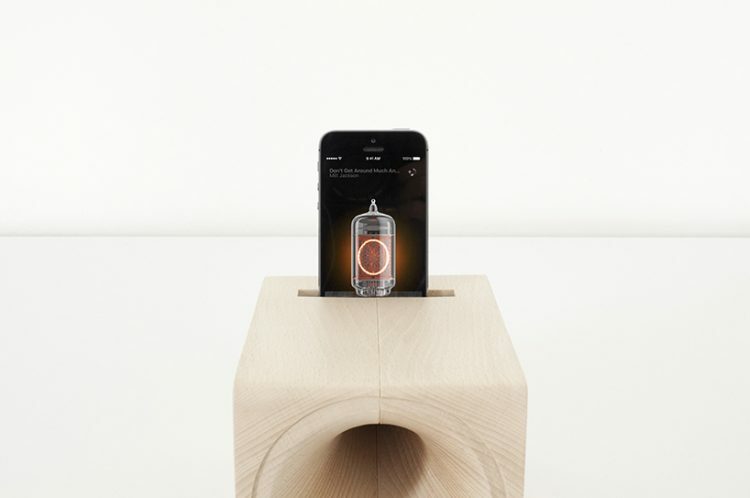 The design draws upon the iconic gramophone shape through its subtle curved form and inverted valve. The sound which is projected from the its center, expels a vintage quality, adding a new nostalgic layer to the existing song. Louis is available in three different colors; natural, graphite and yellow and comes with a specially tailored app. This is a new word in designing a speaker and it’s so cool! A combo of a modern phone dock and retro sounding is stunning.